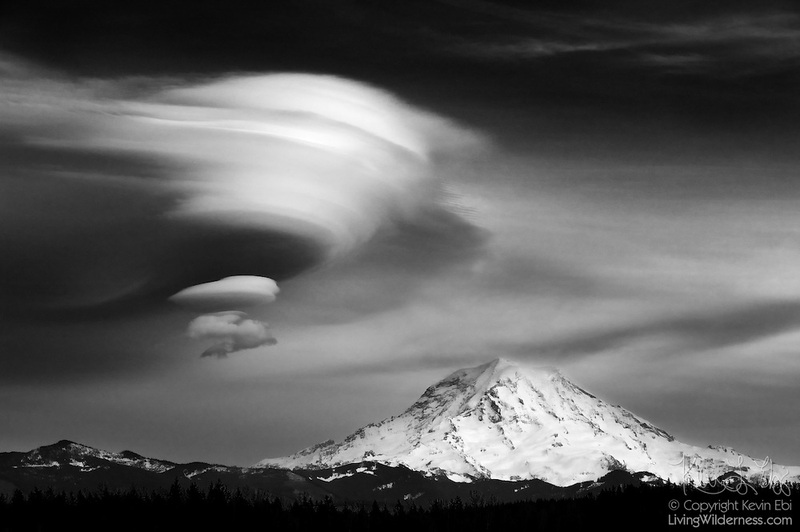 A mammoth lenticular cloud nearly dwarfs Mount Rainier, the tallest mountain in Washington and the highest volcano in the Cascade Range. Lenticular clouds form when moist air is forced up and over mountains or other large obstructions. The moist air condenses and becomes a visible cloud as it rises. While lenticular clouds can hover directly over mountain peaks, they can form some distance away from the summit when the winds are strong.